Weather watercolor set of icons. 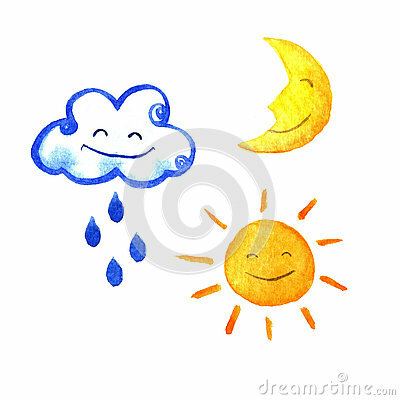 Cute smiling sun, moon, star, drops, and cloud. hand painted illustration.